The months of April and May are great times of the year for the sports fan. The baseball season just got underway. The Masters was last week. The NBA Playoffs get started today. The Stanley Cup began its playoff season Tuesday. Right around the corner is the Kentucky Derby. Less than two months out is the World Toe Wrestling Championships from England’s Bentley Brook Inn. I do wish you people wouldn’t doubt me. For those of us honored to work at Worldwide Headquarters in Zurich, Switzerland, tweaking and improving sports has been on our mind. Baseball is great, but it could do with some changes to make it move faster. Some sports could use a little help to increase scoring. Some sports could be better on TV. To that end, we present our thoughts for the improvement of sports we love. Hockey: The champion of Canada’s national sport hasn’t come from Canada since the 1993 Montreal Canadians. 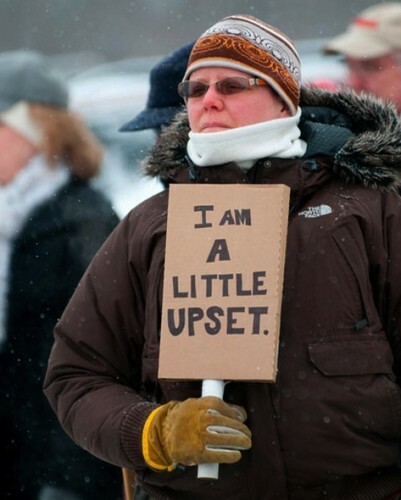 The drought has enraged the passionate hockey fans north of our border. I live in Washington. The rage from BC is palpable. So FishDuck.com has come up with a plan to make things right in the NHL. 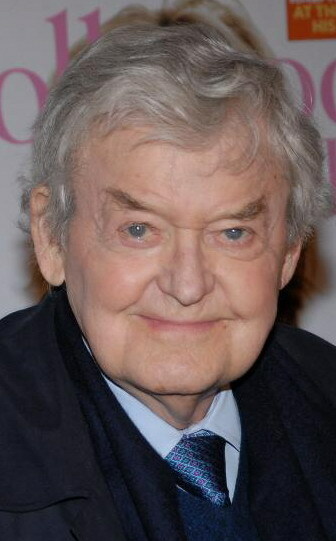 If a team from the U.S. plays a team from Canada in the Finals, Hal Holbrook must be in goal for the United States. Soccer: There is much about soccer that should be improved. While the eradication of it from the planet isn’t likely, a few tweaks and turns of the dial could make it a more palatable entity on the American sports scene. Putting aside some of the most obvious violations: 1. Elimination of the fey and pretentious use of “nil.” 2. The outlawing of scarves in the stands when the temperature on the “pitch” (there’s another one) is 90 degrees or more. FishDuck.com has chosen to concentrate on changes we could see almost immediately. 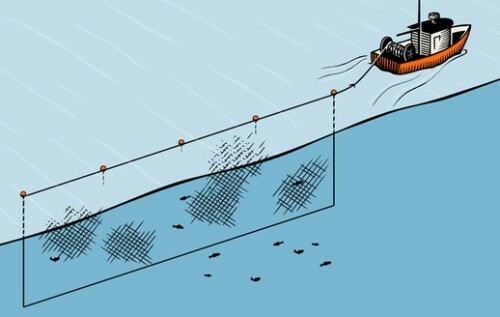 Henceforth the goalkeeper must defend a goal the size of a tuna gill net. Let them “nil-nil” that baby. College Basketball: While FishDuck.com specifically didn’t ask John Calipari about this change, it makes sense to us. We believe a player must be able to find a classroom on the campus map before saying he played “for” any college. We aren’t trying to pick on Calipari. 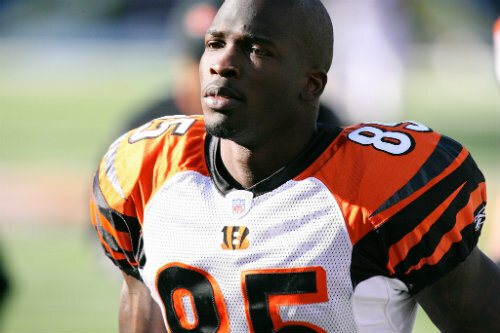 We had another Rhodes scholar in mind. College Football: While practically the perfect sport, college football could use some help when it comes to concessions. The hot dog, pulled pork sandwich, cold hamburger and stale bag of popcorn are yesterday. What’s tomorrow? Introduced by the Akron Rubber Ducks (who else?) comes the Duck Dog! 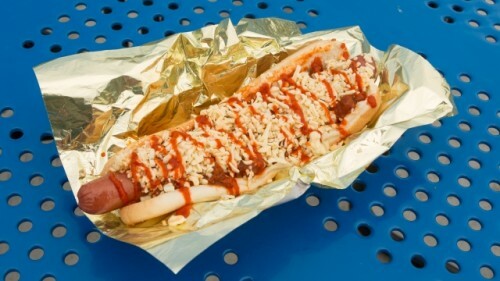 It’s a five star hot dog topped with Texas jack chili, shredded pepper jack cheese, and Sriracha sauce. Yum to the Um. Go Ducks!